In the upcoming general election, you will be contesting from the Central Bengaluru constituency. What prompted your entry into electoral politics? What usually happens is that every policy decision is taken keeping in mind the party and its vote bank. Nobody is asking whether it is in the interest of the people or if it has got a vision. So, we need a voice in Parliament that does not belong to any political party, which always assesses and acts as a watchdog. We need parliamentarians who are free of the ‘high command’s’ whip. 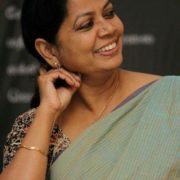 You need to convey it to the people that you are independent, and that you are not the ‘B’ team of any political party. Instead, you are the ‘A’ team of the people. Somewhere, we need to start alternative politics which will give people better representation. I am seeing a brilliant response from people, and I am very happy about it. What has shaped your political consciousness? Honestly, until recently, I did not have much idea about electoral politics. This growth of mine has been organic. I have never consciously chosen the path of my journey. These journeys have chosen me. I never thought I could be a big actor. I never knew that I could be a producer. I never knew I will be able to direct or write. I never knew I could be an agriculturist either. However, I believed that whether or not part of the electoral politics, every citizen should have a scientific temper. They should know the politics of this country because the decisions taken by the people you elect, affect your life every second. You need to choose your policy makers, and make them accountable. You need to understand that it is your money and your country. You need to realise that the people of this country are in majority and the political parties are in a minority. What do you have to offer to voters that the other political parties can’t? What have they [the other political parties] offered? I dare any of the candidates to come and speak like me in front of the media, and answer each and every question. They do not even walk [among the people] in their constituency. They are creating clients. Give money and take votes or instil fear and take votes. I will be with the people for the next five years. I will sit with them, and embolden them to ask questions. I will make sure that they understand what their rights are. You will be fighting this election as an independent candidate. Why do you prefer to go solo? Nobody can do anything alone. A person can contest elections, but behind him or her, there is a team working. You require support and help of a lot of people. The civil society’s support is important. Whitefield Rising [a citizens’ collective] is supporting me. Many civil society groups are with me; many political parties are also offering their support. Do you have any plan to form a political party? Let it be organic. That is my way of life. Prime Minister Narendra Modi is seeking another term. How do you see the past five years of his governance and policies? Narendra Modi is finally realising that people are not fools. People have understood the agenda of this government. These past five years have been very chaotic – marked with a prevalent hysteria. 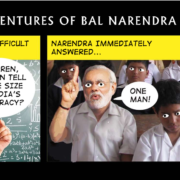 Modi started out as a performer, but could only offer baseless narratives to the people. 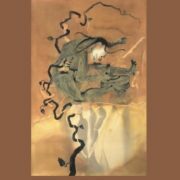 It seemed like an event he had launched, that he could not sustain eventually. Today, I am seeing the fall. There is disillusion everywhere. Now, in the end, it looks like he is trying to launch another event. But we have now realised how he has only used the religious sentiments of the people. 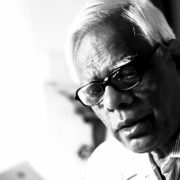 He has strengthened a narrative that attempts to make Hindus afraid of Muslims and Christians. They have this irrational fear that Hindus might be wiped out or outnumbered. So, this country, in last five years, has been voting with fear. Fear has become a national disease here. This has been the achievement of the Narendra Modi government. We never thought of Aamir Khan or Naseeruddin Shah as Muslims. What if Abdul Kalam would have been here today? What about Mohammed Rafi? We never looked at them through this prism. Our common man is not like that. But with the patronage of BJP, the fringe elements have got emboldened. Look at what happened in Bulandshahr. How can somebody just kill a cop and get away? It tells you a lot about the state of the fabric of this society. What kind of development is this? It is of no use unless we also develop the sense of unity and integrity. In your opinion, why does the country need alternative politics? Congress and BJP cannot be the only alternatives to each other at the national level. We need more leaders coming together; we need new pathbreaking leaders. We have seen many coalition governments coming to power in the last few years, but I have seen no party strong enough to be a national party. This clearly shows that India needs to restructure the party system. There is a need for alternative politics. Please understand that people don’t elect the prime minister. People elect the representatives. It is these representatives who elect the prime minister. Who are they [BJP leaders] to ask the people to vote for their next prime minister? How arrogant and undemocratic! What is your idea of alternative politics? I do not think that national parties can lead the country in the right direction. We need to realise that the regional parties have to play a crucial role for a simple reason. Issues of the farmers from one state are different from those of farmers from another state. It should be a state subject. Other than this, we need representatives from different cultures, who, when they come together, can come up with innovative ideas and unique solutions. In the alternative politics, as I imagine, civil society will play an important role – that of a watchdog. There should be consensus between civil societies and the government. It should not be about one political party, one leader, one religion or one language. This country can’t go on as per the whims and fancies of one group. What led you to become an outspoken critic of the BJP-RSS and its governments? I do not have a personal grudge against anybody. The great literature that I have read has shaped me. My theatre has influenced me greatly. I am worried about the nation. It is my anguish, not anger. It is my pain. And being an artiste, more an actor, I am supposed to be sensitive. If an artiste becomes cowardly, the society becomes a cowardly. When they put me on a pedestal, I need to stand up for them. It is courage. If somebody like them [BJP-RSS leaders] has the courage to lie, why shouldn’t I have the courage to tell the truth? 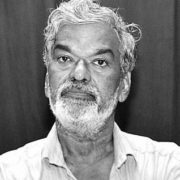 Rationalists and critics of the Right-wing government have been attacked, and even killed in the past. Do you fear you can also be a target? Somebody has to be courageous. We do not want to lose one more Gauri Lankesh. There will be threats and fear. But somebody has to challenge it. Your fear is their power. 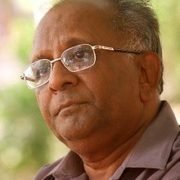 By killing these rationalists – [Govind] Pansare, M M Kalburgi and [Narendra] Dabholkar – they wanted to stop 100 such Gauris and Pansares from raising their voice. So, it is important for us to assert the fact that if one voice is silenced, 100 louder voices will be raised. Why haven’t more members from the film fraternity come forward to take a stand against Right-wing majoritarianism? If you do not step forward when society needs you, people will know whether you are a real hero or not. Some people may not be as courageous as I am. People have started asking questions. ‘This guy has come; why aren’t others coming?’ You need to come forward. The society has empowered you. You owe your privileged life to the society. You need to stand by the people. According to the latest Oxfam report, India’s top 10% of the population holds 77.4% of national wealth, while the bottom 60% hold just 4.8% of the wealth. This shows the unimaginable existing inequality and poverty in India. What policy measures do we need to change this? We need a structural change – a significant policy change. But my sole opinion may not make a difference. There has to be a civil society movement. We need to continue to raise this issue again and again. Do you have any blueprint in your mind? First, people who are decision-makers today need to be thrown out. We have to make way for alternative politics and new leaders. We have to put in place a participatory democracy. And this is not a job just for MPs or politicians. It is the job for the civil society and also the people. Forty per cent of your population does not vote. Many of them come from the IT sector, and are well-educated. By not voting, aren’t they enabling somebody who is not fit to win the elections? No wonder, these jokers are ruling today. 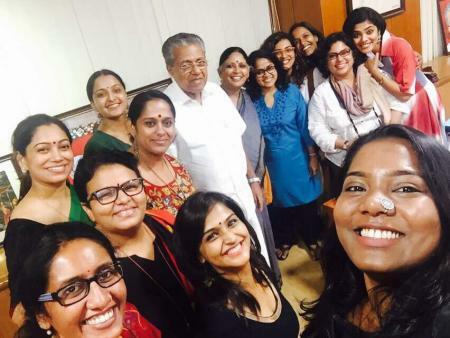 What is your take on the formation of a women’s collective in the Malayalam industry? Do you think the film industry is oblivious to the gender justice? I am the first person who supported these women. Isn’t it true that women are exploited? Isn’t it true that men, with or without intention, are the predators? Isn’t it important for the society to stand by them? And you should understand that you are not doing a favour to women by being sensitive. You will be empowered if a woman comes to power, and if women are equal. The society will be empowered with her way of looking at life. In recent years, we have seen systematic attempts to scuttle dissenting voices in campuses across the country. Some young student leaders are facing sedition charges. What message do you want to convey to the youth in this context? Kanhaiya Kumar, Umar Khalid, Shehla Rashid… Aren’t these good voices? Don’t they have a right to dissent? Without dissent, there is no democracy. Without opposition, there is no democracy. By stopping this, does Modi want to become a dictator? Is nationality BJP’s property? Is this country’s culture BJP’s property? Is religion BJP’s property? What is their vote share? Thirty-one per cent. So, I ask these students to keep fighting. Take your country back. We have seen peasants and workers marching across the country pointing to a spate of issues. How do you look at these struggles? For how long can you keep waiving loans? You can’t make them dependent on waivers. Farmers’ problem is not restricted to the water issue. It is about self-respect. It is about education, health and alternative source of income. Would you say we are living in a fascist age? I think we are coming out of a fascist period. I hope and I believe so. Fortunately, people are realising that fascist people are unhealthy for society. Are you hopeful about the country’s future? When people are uniting against hate, when people are uniting against communal politics, there is hope. History says that whenever fascists and communal forces come, they are sent back. And they see a very bad end. 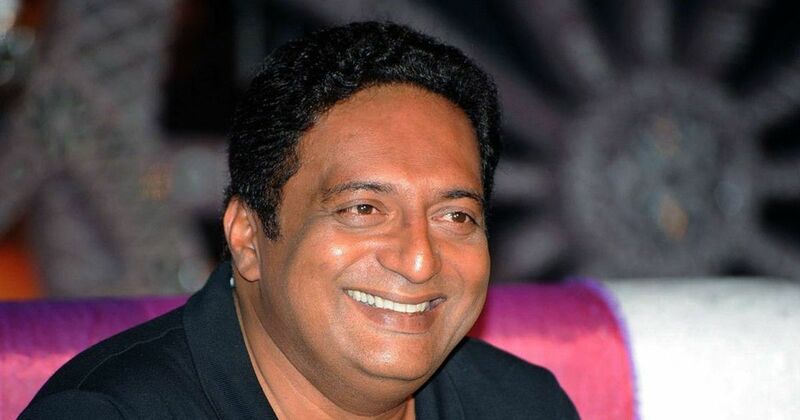 You started the Prakash Raj Foundation (PRF) in 2015. Could you please talk about its activities? I believe in constructive work too. We adopted a village in Tamil Nadu, one in Karnataka and one in Telangana. Adopting villages does not just mean building schools. We are empowering the people. We have organised parents’ and teachers’ groups. PRF does not work alone. It has been a catalyst in bringing in other organisations to work. It can start a movement. We have another foundation which looks into health. We have community coordinators. We have theatre activists who stay in those villages. I can fund them. I can empower them. But they will do the real work. So, it is a collective process. I am just a bridge.